designed for APT, RPM, cargo, etc. Will check signature allegedly issued by A8B0 F4E4 5B1B 50E2. Found key A8B0 F4E4 5B1B 50E2. Checking signature allegedly issued by A8B0 F4E4 5B1B 50E2. Signature by A8B0 F4E4 5B1B 50E2 is good. 1 of 1 signatures are valid (threshold is: 1). $ echo "Just check the exit status: $?" OpenPGP is a proven standard for storing encrypted data, and for managing encryption keys. OpenPGP was standardized in 1997, and is widely supported. To learn more about how OpenPGP works, take a look under the hood. OpenPGP is the most widely used method to encrypt mails. It is supported by most mail programs either natively, or using a plugin. OpenPGP can be used to protect data at rest, say backups or passwords. With OpenPGP you can be confident that you can still read your data after decades. 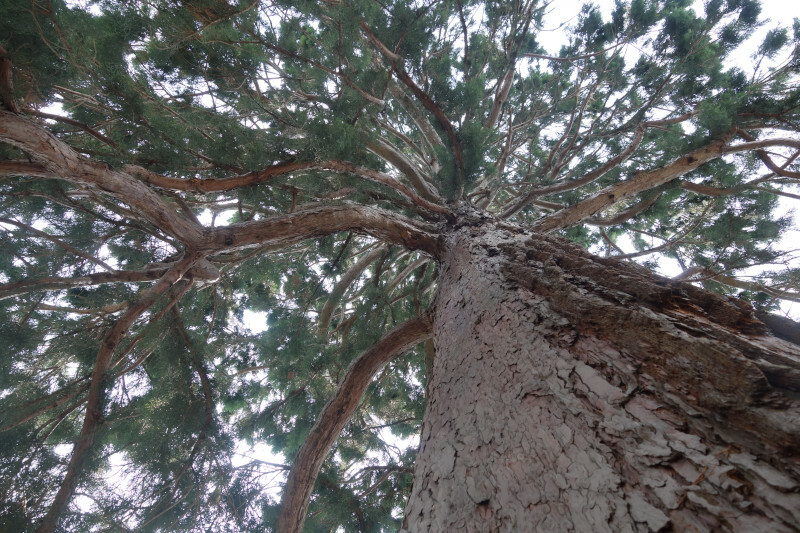 Take a tour of Sequoia by following our guide. Neal introduces the Sequoia project, its technical and social goals, and its current state. 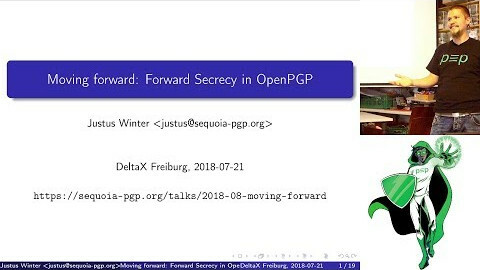 Justus discusses two approaches how to bring Forward Secrecy to OpenPGP. 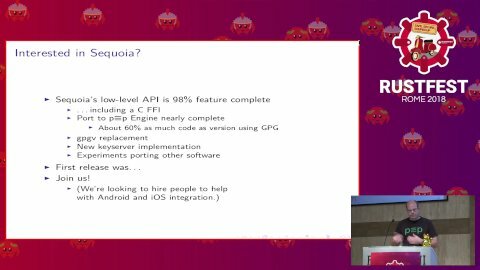 Neal briefly introduces the Sequoia project, and talks about challenges that we’ve faced using the Rust programming language.